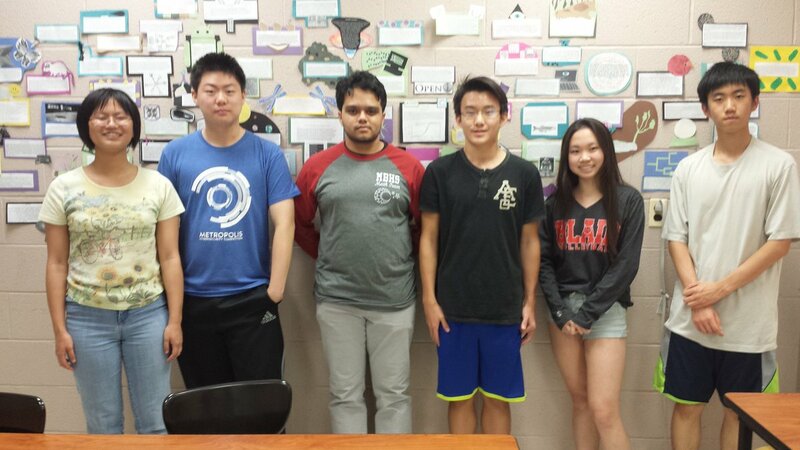 Seniors Sambuddha Chattopadhyay, Angela Yang, and Linden Yuan, Juniors Guangcui Cui and Robert Yang, and Sophomore Margaret Lin were named Semifinalists in the 2016 Siemens Competition. Robert Yang was named a Siemens Regional Finalist, and he will compete at the Regional Finals at the Massachusetts Institute of Technology on November 4-5, 2016. 38 Magnet Seniors were named National Merit Scholarship Semifinalists: Ali Anwar, Daniel Busis, Sam Ehrenstein, Joshua Fernandes, Calvin Liu, Elia Martin, Griffin Badalamente, Ankit Bhargava, Daniel Chen, Sandeep David, Alex Miao, Anna Barth, Maya Chudamani, Rohan Dalvi, Sherry Fan, Annie Fang, Amy Borton, Ethan Chen, Raymond Guo, Benjamin Jacobsohn, Emma Jin, Simin Li, Juliana Lu-Yang, Alex Ma, Richard Wang, Minie Zhang of Rockville, Sambuddha Chattopadhyay, Eleanor Cook, Lara Shonkwiler, Jessica Fang, Noah Friedlander, Aditi Shetty, James Vinson, William Hartmann, Nicholas Healey, Sophia Liu, Neal Sarkar, and Kendall Price. Four other Blair seniors were named semifinalists: Gabriel Field, Derek Lamb, John Merlo-Coyne, and Ramida Phoolsombat. Blair had the most semifinalists of any school in Montgomery County. Magnet juniors George Klees, Noah Singer, Noah Kim, Theo Tosini, and Andrew Komo (Team Darkside) won first place among high school teams (2nd place overall) at the MITRE STEM CTF Cyber Challenge 2016. The Cybersecurity Team is also competing at the NYU Cyber Security Awareness Week (CSAW) games November 10-12th. Senior Emma Jin has published her own fantasy novel: Fractures in a Dream. Mr. Stein's Political Statistics Class has built their own Battleground States Model, which they entered in the American Statistical Association's Prediction 2016 contest.